Calvo, Guillermo (2009), “Reserve accumulation and easy money helped to cause the subprime crisis: A conjecture in search of a theory,” VoxEU.org, 27 October. 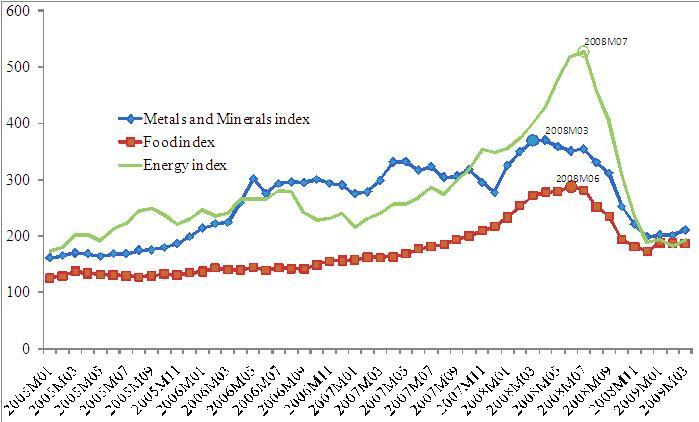 Eichengreen, Barry and Kevin O'Rourke (2009), “A Tale of Two Depressions,” VoxEU.org, 6 April. 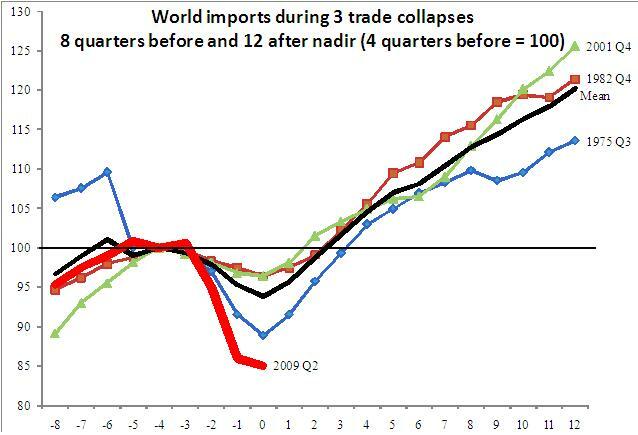 Freund, Caroline (2009), “Demystifying the trade collapse”, VoxEU.org, 3 July. 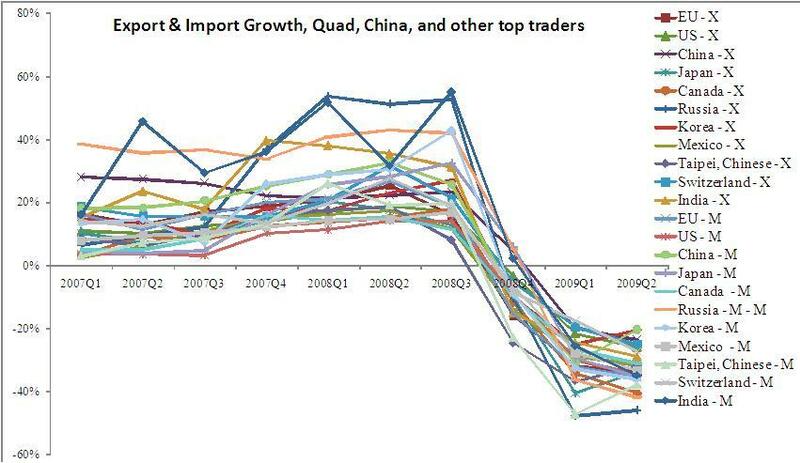 IMF (2009), World Economic Outlook, Table A10. 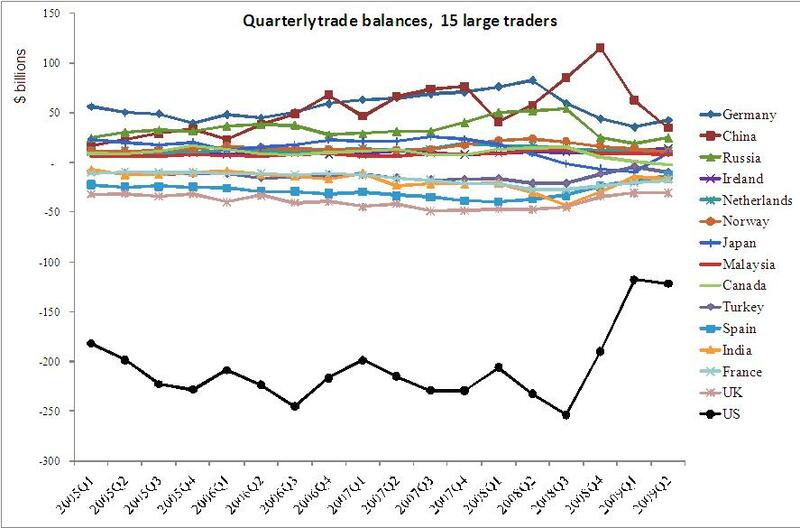 Summary of Balances on Current Account, October. Paulson, Henry (2008), “Remarks by Secretary Henry M. Paulson, Jr. on Financial Rescue Package and Economic Update,” Speech HP-1265, 12 November. World Bank (2009a), “Global Economic Prospects 2009”. 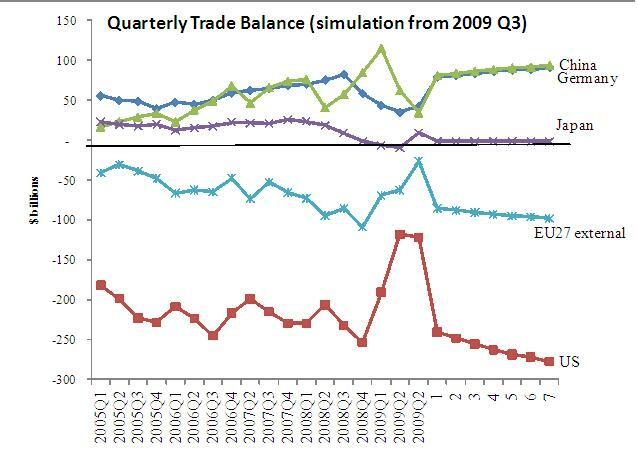 World Bank (2009b), “Transforming the Rebound into Recovery” East Asia and Pacific Update November.